Long distances, stiff breezes and tough predators are no match for the Nosler® Ballistic Tip® Varmint. The bullet’s thin jacket produces violent energy release and minimal penetration, while its boat-tail design and polymer tip produce less bullet drop and wind drift. 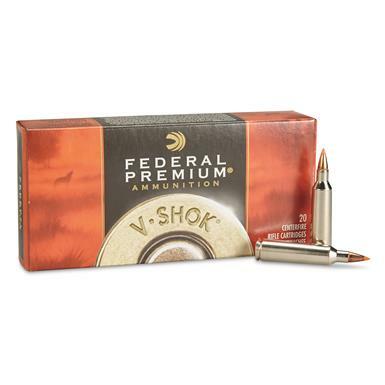 Federal Premium V-Shok, .22-250 Remington, NBT Varmint, 55 Grain, 20 Rounds is rated 5.0 out of 5 by 4. Rated 5 out of 5 by Stump from Good Price Fast shipping, good price. This ammo shot the best in my X-Bolt and I tried several factory loads. I like whatever ammo my gun likes lol. Rated 5 out of 5 by rob in ms 123 from great price they are bolt tail ballistic tip. for this price who offers this premium load. 300 yards ,its dead on. Rated 5 out of 5 by buck 1 from Price, availability and delivery are great! 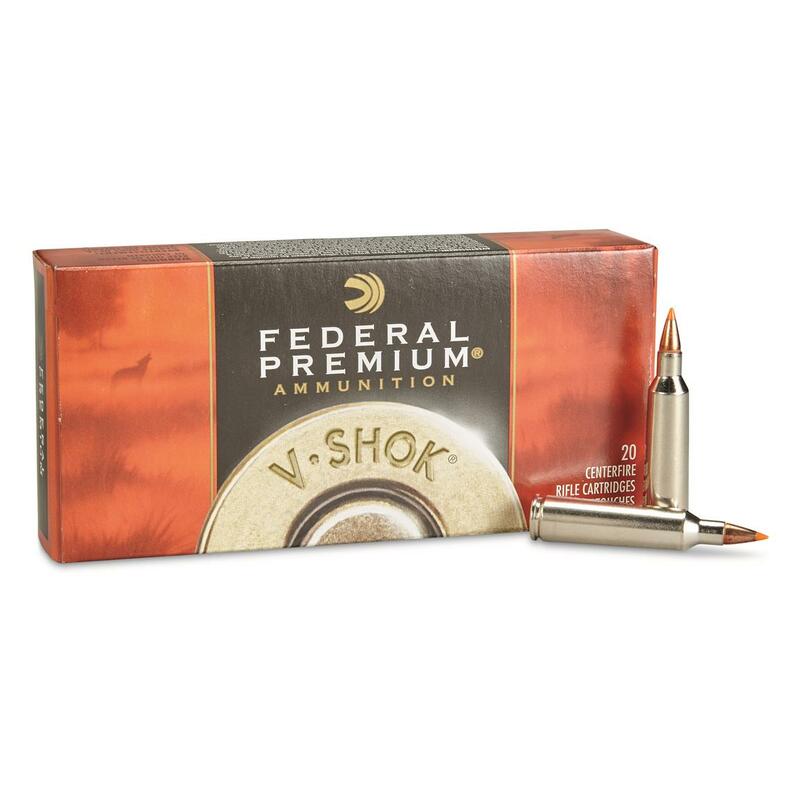 I have used Federal Premium ammunition for many years. You can depend on quality and results. Rated 5 out of 5 by oldwriterhuh from This is my favorite load for the .22/250 Remington. My favorite hand load for the .22/250 Remington uses the same 55-grain Nosler Ballistic Tip Bullet, and it travels at nearly the same velocity. Mine is 3,588 fps on my chronograph. Three shot groups are usually less than 1/2 inch. Check the trajectory chart and it looks like it can not be beat. Harness the power of military specifications. Want accuracy and value? Buy American. Trusted by deer hunters everywhere. Maximize your shooting dollar with Fiocchi!